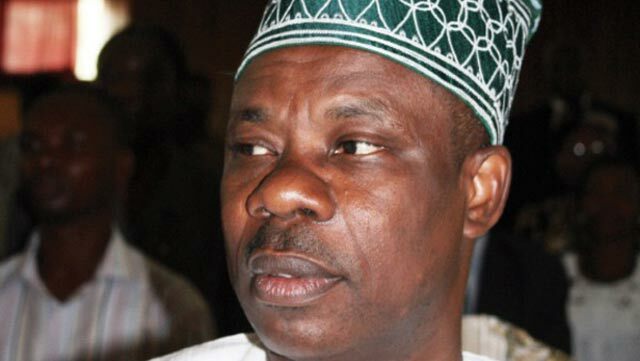 Ogun State governor, Ibikunle Amosun, yesterday accused the national chairman of the All Progressives Congress (APC), Adams Oshiomhole, of conniving “with a cabal in Lagos” to write fake results, after the party’s just-concluded primaries that produced Prince Dapo Abiodun as governorship candidate. But reacting, Osoba told The Guardian via telephone: “I don’t want to be dragged into that issue. There is no basis for me to react to it.” Tinubu’s media aide, Tunde Rahman, said a response, if necessary, would be made at a later date. Also, the deputy national publicity secretary of the party, Mr. Yekini Nabena, yesterday accused Oshiomhole of arrogating to himself monopoly of knowledge in running the affairs of the party. He accused Oshiomhole of taking key decisions from his private office, rather than the national secretariat and for failing to consult the 21-members NWC. Nabena, who until recently acted as spokesperson for the party, also blamed the NWC for allowing the chairman to usurp its powers. According to him, the crises rocking the APC would have been avoided had members been allowed a say in the party’s policy direction. But a member of the House of Representatives, Dau Aliyu Magaji (Birnin Kudu/Buji federal constituency, Jigawa State) disagreed. “Oshiomhole is our chairman for life. Oshiomhole has been a very good omen for APC. You can see that the governors could not hijack the party anymore because we have strong chairman. The governors should be members of the party. The party should have one chairman. Even the governors should be answerable to the chairman in their states. The party should be supreme and I think with the coming of Comrade Oshiomhole, the party is now supreme. You either do what the party wants or you go to another party,” he said. This was as a senatorial aspirant, Isah Zakari Zarewa, dumped the party in Kano, citing injustice over the recent primaries in the state. Zarewa, who lost to a former minister of education, Ibrahim Shekarau, accused the party of conducting fraud-ridden primaries. He revealed at a press conference yesterday that he was dumping the party alongside 299 aspirants. The state’s APC secretary, Zakariyau Sarina, however told The Guardian that the leadership in the state was already making moves to pacify Zarewa. But Oshiomhole yesterday shrugged alleged moves by aggrieved members of the party to remove him from office, saying that there was no cause for alarm. He spoke at the Presidential Villa, while reacting to reports on social media that some APC governors were planning to collate signatures to facilitate his sack from office. Oshiomhole dismissed the threats, saying only one or two of the 23 APC governors were unhappy with his actions as chairman. He claimed he was having his finest moments, stressing that some 90 per cent of APC members were happy with him and that those that were aggrieved felt so because he insisted on due process. The Supreme Court, meanwhile, has set aside the decision of the Court of Appeal, Port Harcourt Division, on congresses conducted by the party in Rivers State. The order of the Appeal Court issued June 21 against the ruling of a Rivers State High Court was voided on the ground that the appellate court acted in bad faith. Justice Centus Chima Nweze, delivering the judgment in an appeal filed by one Abdulahi Umar, stated that the Court of Appeal ought not to have vacated the injunctive order issued against the APC by the High Court on the conduct of the congresses. Recall that Justice A. C. Nwosu of Rivers State High Court had in an ex-parte motion filed by Umar, restrained APC from conducting the congresses pending the outcome of the suit filed by Umar. Umar had approached the court, complaining against his marginalisation and 22 others in the said congresses. However, while the injunctive order of the High Court was subsisting, APC went ahead and conducted the ward, local government and state congresses between May 19 and 21. Consequent upon the conduct of the congresses, the Court of Appeal in a ruling on an application by APC, seeking stay of execution of the High Court injunctive order and stay of proceedings of the main suit, vacated the injunctive order and refused to stay hearing of the substantive matter. This prompted Umar to approach the apex court. The court in yesterday’s judgment flayed the Appeal Court for indulging APC and vacating the injunctive order in the party’s favour when there was abundant evidence that APC was in contempt of court. The apex court further held that the Court of Appeal ought not to have granted its discretion in favour of APC because the party was in grave violation of the order of the High Court. APC factions in the state reacted differently to the ruling. Senator Magnus Abe (Rivers South-East senatorial district), who emerged the party’s factional candidate in the direct primaries unrecognised by the national leadership, hailed the judgment. He said with the historic verdict, the party has dragged itself into a pit. This would make the national leadership consider that he emerged the party’s governorship candidate through direct primaries, as against the Flag Amachree faction that flouted an injunction stopping it from conducting its congresses. But the Ojukaye Flag-Amachree-led state executive spokesperson, Chris Finebone, urged people to ignore the propaganda that the Supreme Court set aside congresses and primaries of the party. “The Supreme Court only granted the appeal in parts and did not make any consequential orders, as that can only be subject matter at the Appeal Court when the appeal hearing of the state High Court judgment commences,” he said.